Since 2009, the Folkrockband Schëppe Siwen makes sure you spend a great time at their gigs. They played on almost all the major stages in the country and now they will finally come to the e-Lake. 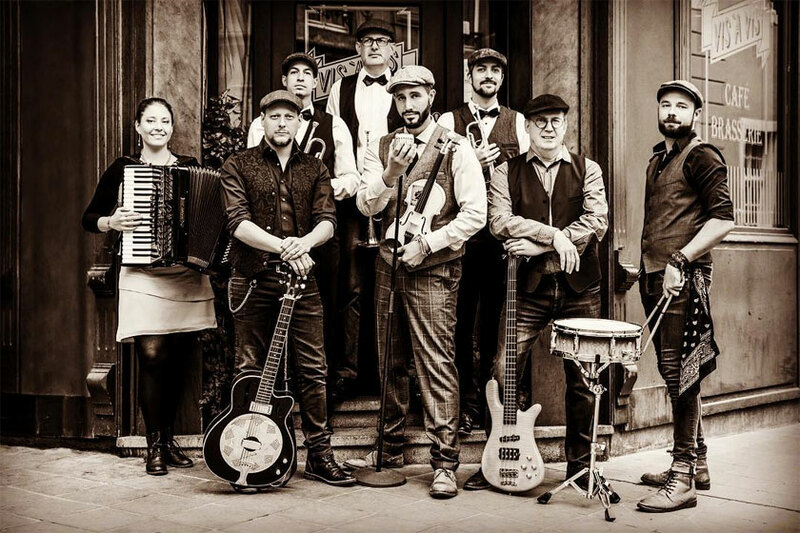 Their music includes many different styles, from Celtic Punk elements to Folkrock tones and is carried by the sound of the violin, accordion and trumpets. Be prepared for a loud & fast live show that will make you want to move your feet.